PARTNER NEWS: DCR’s truTap Mobile Wallet, powered by Carta Worldwide’s host card emulation (HCE) technology, has been named the “Gotta-Have Mobile App” in Paybefore’s annual awards for excellence in the worldwide prepaid, mobile and emerging payments industry. Backed by Carta’s cloud-based Host Card Emulation and tokenization technology, truTap lets retailers and corporations connect with customers directly through mobile gifting, loyalty and payments, in a streamlined mobile app. The truTap Mobile Wallet turns any NFC-enabled Android phone into a tap-and-go wallet. Users can tap their smartphone to any contactless point of sale device to pay for purchases. The cloud-based technology is highly secure and incredibly fast. The TruTap Mobile Wallet works with all Android, IOS, and Blackberry smartphones, however NFC capabilities are current only available for Android and Blackberry. TruCash DCR Strategies Inc./TruCash is an award-winning creator of prepaid products including reward and incentive-based prepaid cards, sales incentives, virtual rewards, and most recently, the truTap Mobile Wallet. Founded in 2005, DCR Strategies Inc. has aimed to provide superior financial solutions to its clients. In the process, DCR has become a market leader in the prepaid industry and has won several awards including Paybefore’s Best Government-Funded Prepaid Program and Best Consumer Program. DCR also developed the first real-time loyalty points-to-cash redemption program for prepaid cards, allowing cardholders to earn points while shopping and redeem for cash rewards. 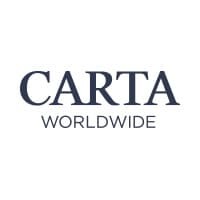 Carta is an award-winning leader in next-generation transaction processing and mobile payment technologies including Host Card Emulation, Cloud-Based Secure Element and Tokenization. Carta’s technology stack and open architecture are engineered for the digital transaction ecosystem, enabling unparalleled capability for developing, deploying and managing transaction solutions.